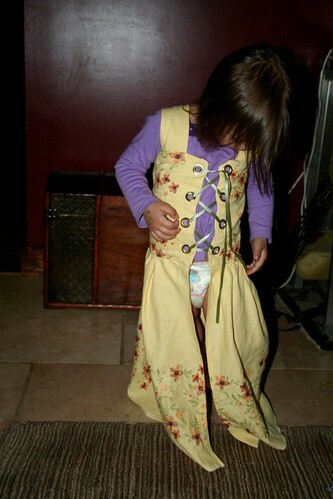 The Renaissance Wench: Corsets for toddlers!! Corsets for toddlers, originally uploaded by Rowetopia. So, as I otherwise accomplished absolutely nothing yesterday and was feeling out of sorts over it, I thought I would tackle some costume prep for the Tennessee Renaissance Festival in May. Anyway, I found this linenesque fabric and i do love me some embroidery that i dont have to take a needle to, so i bought two yards in hopes of making something cute for the Baby Girl out of it. My basic method was lots of rectangles. 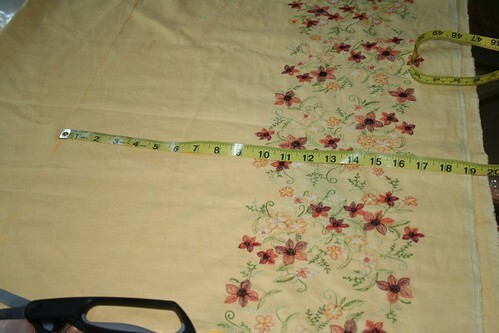 I measured under the armpit to the waist and waist to floor. 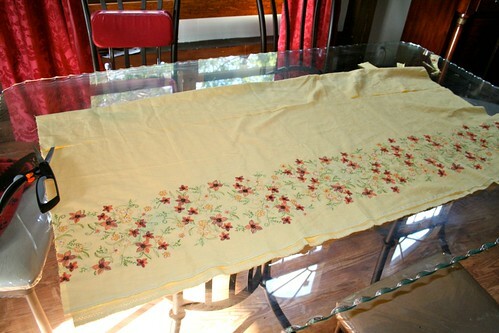 Did a double layer of fabric for each--for easy lining. The most oddball part was getting some sort of strap that made sense. Ribbons would cut into her shoulder too much and she is a pain with untying ribbons at the shoulder, so I just did a simple wide strap that meets in the middle of the back. I wont get into how much it made my brain hurt to get these positioned correctly between the layers of fabric--inside out and upside down. Once the straps were on I just used the proper length of the rest of the fabric and gathered it at the top, sewed it to the front of the bodice and flipped it. 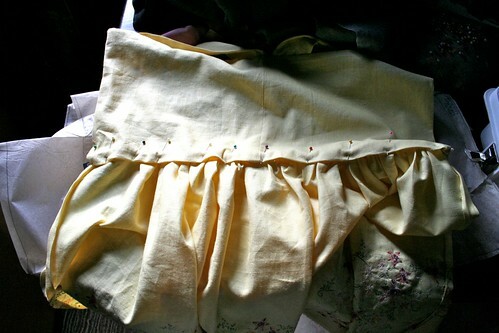 I pinned the lining to the back of the skirt and sewed it at the waist kinda in the ditch. I wish in hindsight that I had made the bodice a hair shorter, but oh well. 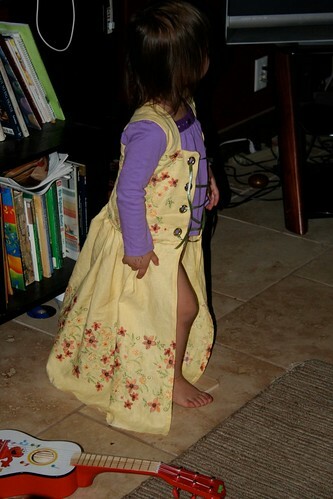 So, an hour later and at least the outer part of her costume is the finished. She still lacks a shift underneath, but I got some really cute green crinkle gauze for that. Crinkle gauze is somehow a requirement to go to Renaissance Festival--they check you for it at the gate, I think. I mean, really...lacing on a toddler is just the best. And I think the embroidery pattern turned out quite nice. 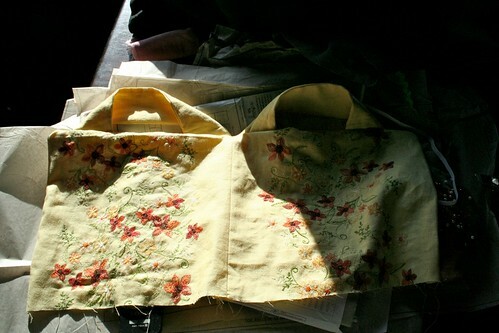 The open front will be good at keeping her from tripping in the dirt while walking but I am going to get some thicker ribbon for the lacing---maybe in red or orange to stand out against the green shift and yellow bodice. I just used what I had on hand for the pictures. Overall, I am happy with it and Caris seems to like it fine....she wore it for hours because it looks like a "crown lady" dress and she does love one of those.